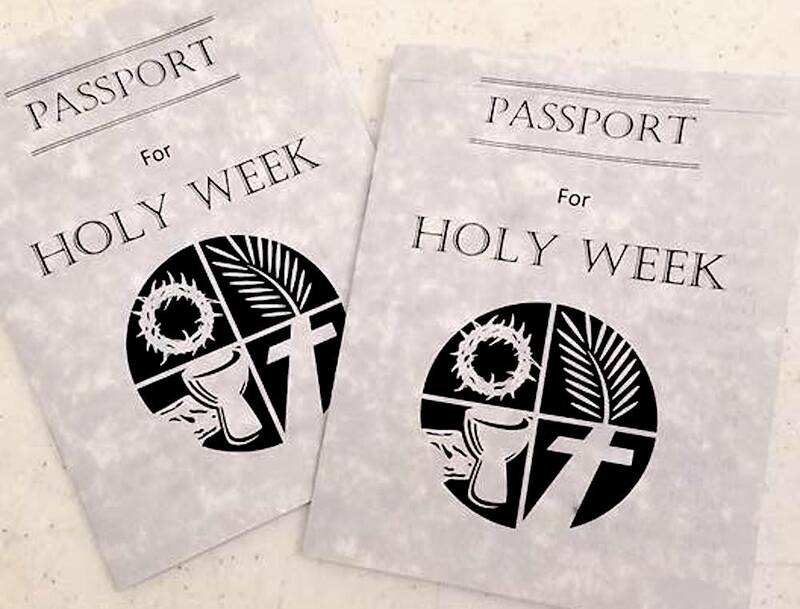 This year: Holy Week passports. 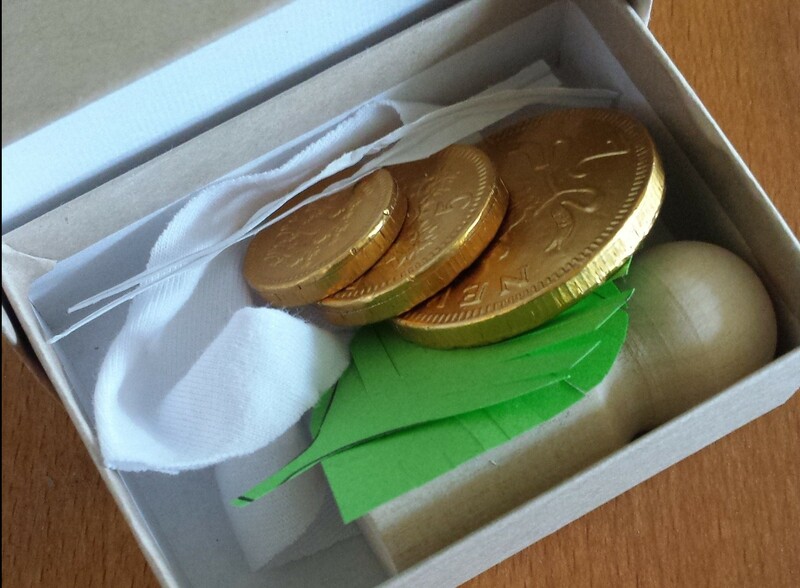 Holy Week Passports is for every member of our congregation; people of all ages and stages will be able to participate. 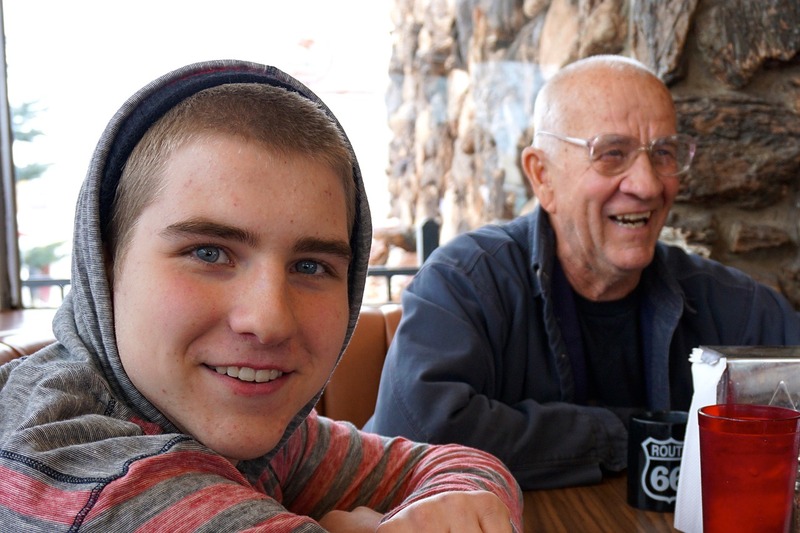 It is exciting to know that because of this program families with young children are asking them same questions as a married couple in their 70s. 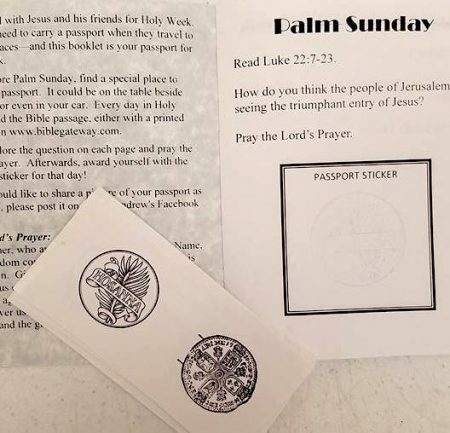 The Passports were available to pick up the last week of Lent, and ushers passed them out on Palm Sunday to those who hadn't yet received one yet. 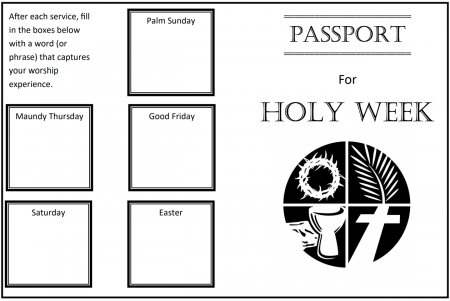 What's In Holy Week Passports? The booklets are simple, well designed and carefully thought-out. 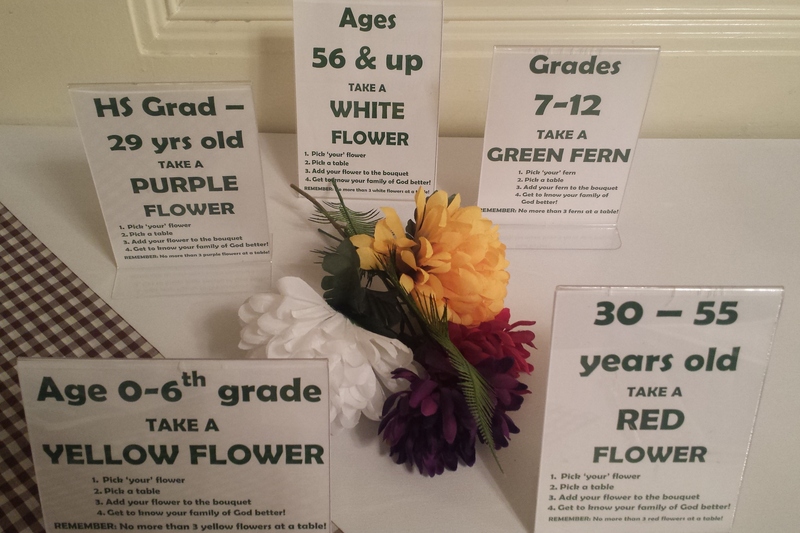 For each day of Holy Week, there is a suggested Bible reading, a question, and a prayer prompt. Finally, the fun part: each day has an open space to place a "Passport sticker" when you finish. 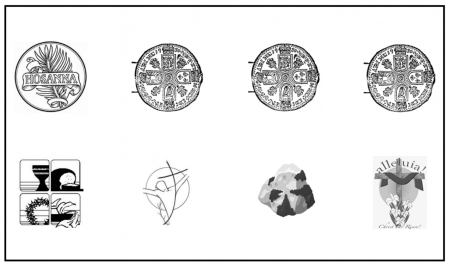 Click the links below to get blank versions of the Passport booklet, plus the sticker document. 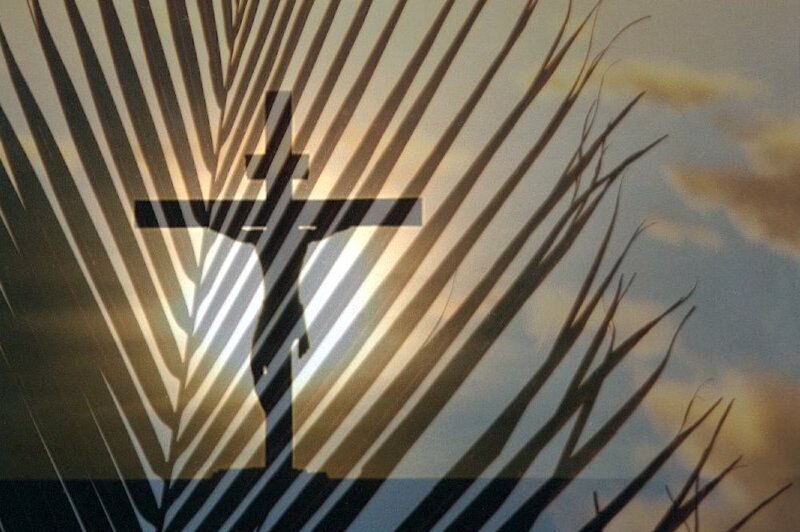 Add your church's Holy Week schedule to the booklet. Print the Passport booklets. When you print the passport file it comes out with 2 booklets on a letter sized paper. Stack the pages and cut them in half. Staple the booklets. Print the stickers on circle printable stickers - available from office supply stores. Paper clip a strip of stickers to each booklet. 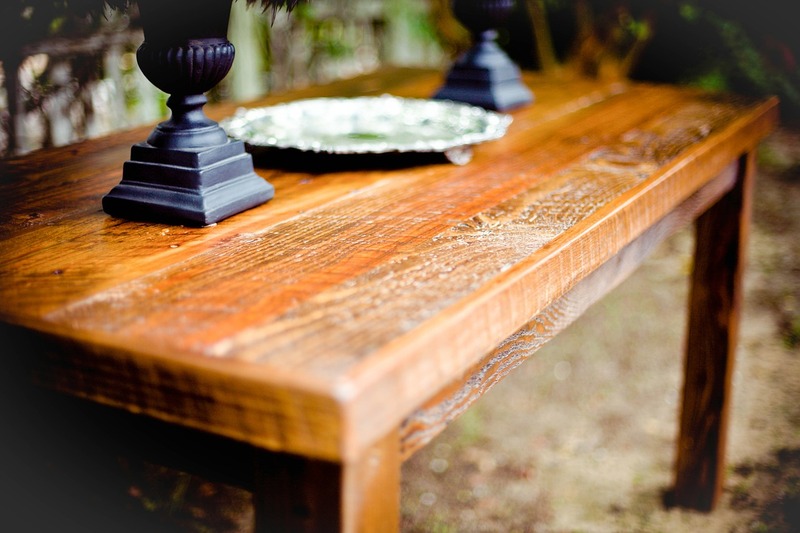 Hannah Graham is the Director for Christian Formation at St. Andrew's Episcopal Church in Glenwood, MD. Her vocation is to create space for people of all ages to know and be in conversation with God. She lives with her husband and 3 very busy little boys.